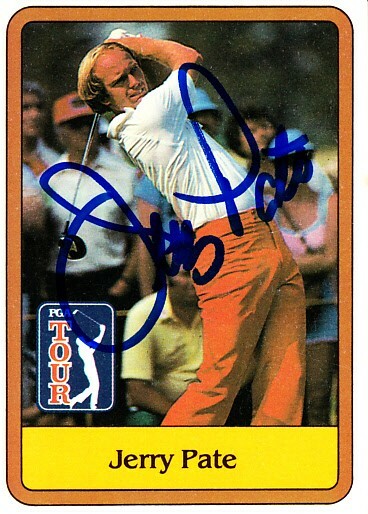 1981 Donruss golf card autographed in blue marker by 1976 U.S. Open winner Jerry Pate. Obtained in person, with certificate of authenticity from AutographsForSale.com. About ExMt/NrMt condition. ONLY 2 AVAILABLE FOR SALE.